Just in time for the fourth, I created an Americana Traci necklace with royal blue and red, leaving some stones unpainted. It is beautiful on! 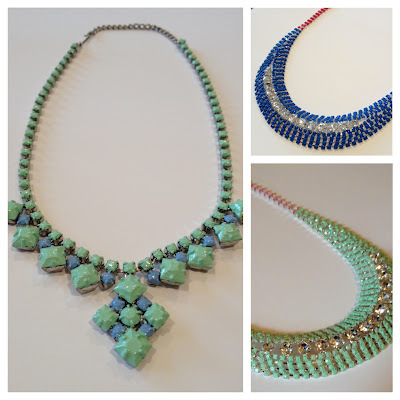 Also added, a mint green and blue vintage piece (left), with more...mint. Yes, I am loving mint green! Find my jewelry here.